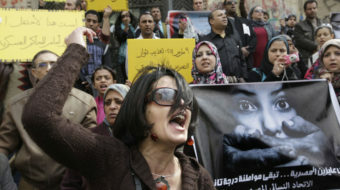 As the celebrations take place, let us not forget the women who struggle so hard every day in the Middle East. 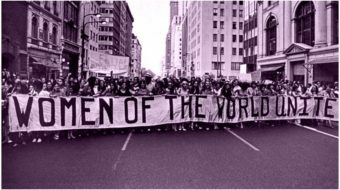 International Women’s Day—Made in the U.S.A. It was 20,000 young and diverse women workers in New York who went on strike in 1909 and brought the world International Women's Day. 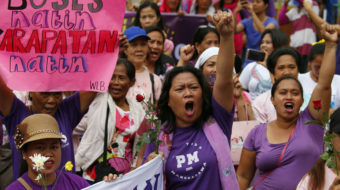 Women across Europe and Asia shouted their demands for equality, respect, and empowerment Thursday to mark International Women's Day. All those who are celebrating IWD should not forget its socialist feminist roots. 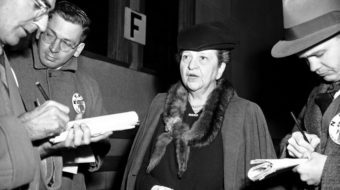 On International Women's Day, we remember Frances Perkins - advocate for working people and the architect of much of FDR's New Deal.